A great idea for Round Robin awards, golf tournaments, and just for your group of golf buddies, the 30 oz. 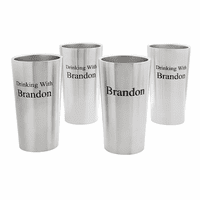 stainless steel Polar Camel tumbler has quality and personalized style! 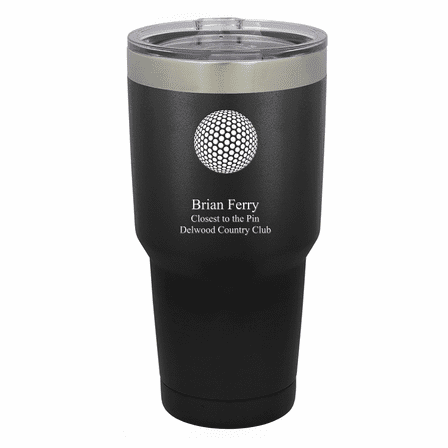 The tumbler has a black matte finish, and is laser-engraved with a Golf Ball emblem. 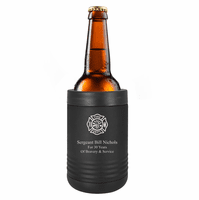 Below the emblem, add up to 6 lines of personalized text, available at no extra charge. 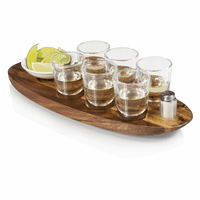 The tumbler is designed with double-wall construction for 2 times the heat/cold resistance, a clear plastic lid, and narrow base that fits in most cup holders. Your tumbler will come packaged in a gift box.